I dig a good Hyaluronic Acid moisturizer. There’s nothing like it to keep skin supple and glowing all day long. HA quenches the thirst of dry skin, hydrates oily skin without turning it into a greasy mess and is gentle enough for sensitive skin, too. The IT Hyaluronic Acid moisturiser of the moment is probably Peter Thomas Roth Water Drench Hyaluronic Cloud Cream. The soft, cloud-like texture is unreal! But what if you don’t feel like forking out $52.00 for it? Word on the street is that Neutrogena Hydro Boost Water Gel is the perfect dupe – and it’ll set you back only $19.99. Both Peter Thomas Roth Water Drench Hyaluronic Cloud Cream and Neutrogena Hydro Boost Water Gel use sodium hyaluronate, a close cousin of Hyaluronic Acid that’s better able to penetrate skin. It does the same thing: it acts like a magnet, attracting water from the air and the deeper layers of the skin and dumping it into the surface layers. It’s so powerful, it can bind up to 1000 times its weight in water! Your skin loves all that extra moisture. Moisture plumps up skin so fine lines and wrinkles look smaller, makes skin softer to the touch and gives it a dewy, as if lit-from-within glow. Peter Thomas Roth Water Drench Hyaluronic Cloud Cream has the upper hand here. It uses 3 molecular sizes of hyaluronic acid to make sure every layer of skin is perfectly hydrated all day long. Silicones like Dimethicone and Cyclopentasiloxane don’t have any long term benefits for the skin. They don’t have antioxidant or soothing properties that helps your skin age better. Yet, they’re more useful than you think. Think of silicones as quick fixes. Retinol, vitamin C and co take their sweet time to work. In the meantime, you need something to make your wrinkles look smaller. That’s a job for silicones. They fill in fine lines and wrinkles and even smoothen out pores, so they look smaller to the naked eye. While they’re at it, they also create a barrier on the skin that keeps moisture in. FYI, this barrier IS breathable. Silicones have a particular molecular structure made up of large molecules with wide gaps between them. Skin can perspire – and actives like retinol can get still get – through those gaps. One more thing: silicones give a texture its slip and makes it glide smoothly on the skin. A lot of products would be a lot grittier/heavier without them. 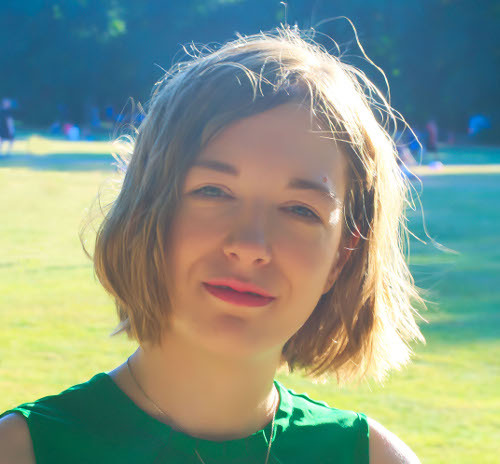 I don’t mind silicones in my skincare products – when they have a reason to be there and don’t make up the bulk of the formula. Peter Thomas Roth Water Drench Hyaluronic Cloud Cream uses them the right way: it has just enough silicones to make it a pleasure to use. I can’t say the same for Neutrogena Hydro Boost Water Gel. Once you take out hyaluronic acid and the odd preservatives, silicones are pretty much all you’re left with. Related: Are Silicones Really Bad For Skin? There’s a reason Neutrogena Hydro Boost Water Gel is so cheap: you get Hyaluronic Acid and nothing else. It’s the norm for drugstore skincare, by the way. They have to keep the price down somehow. Peter Thomas Roth Water Drench Hyaluronic Cloud Cream goes two steps further: it also has ceramides and antioxidants. Let’s start with ceramides. Your skin already has plenty of them. They’re part of the glue that holds skin cells together. The more ceramides your skin has, the stronger its protective barrier is. A strong protective barrier is better able to withstand attacks from cold weather, UV rays, pollution and all other skin enemies. It also helps moisture stay in, keeping skin soft and supple. If you have dry/sensitive skin, your protective barrier is already weak. 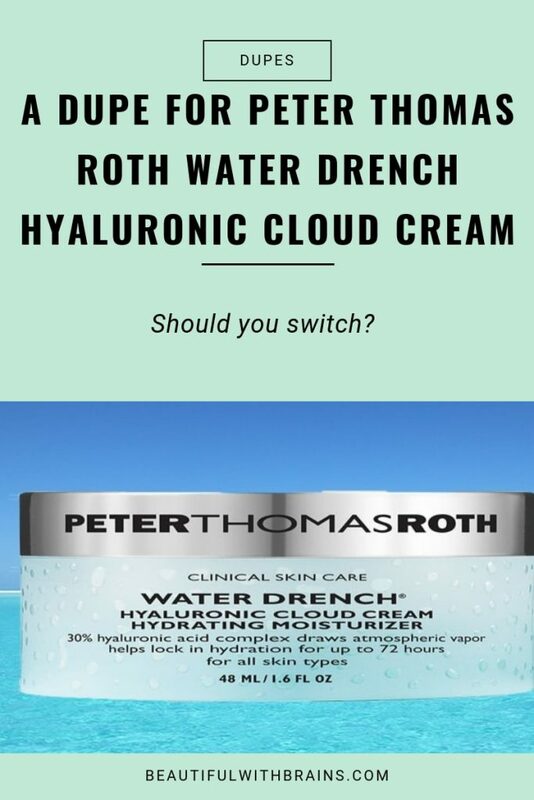 Peter Thomas Roth Water Drench Hyaluronic Cloud Cream is the better option for you. Just don’t rely on the antioxidants. This moisturizer may have its fair share but the jar packaging won’t keep them stable for too long. Antioxidants go back when exposed to light and air – ie. every time you open the jar. To give your antioxidants their best fighting chance, close that lid quickly! Related: Are Ceramides The Key To Healthy Skin? Is Neutrogena Hydro Boost Water Gel A Dupe For Peter Thomas Roth Water Drench Hyaluronic Cloud Cream? I wouldn’t call Neutrogena Hydro Boost Water Gel a dupe for Peter Thomas Roth Water Drench Hyaluronic Cloud Cream. It’s a more basic version that gives you an extra burst of moisture and nothing more. But if you have oily skin and are on a tight budget, it’ll do. Have you tried Peter Thomas Roth Water Drench Hyaluronic Cloud Cream and/or Neutrogena Hydro Boost Water Gel? Share your fave pick in the comment below. Neutrogena Hydro Boost Water Gel Ingredients: Water, Dimethicone, Glycerin, Dimethicone/Vinyl Dimethicone Crosspolymer, Phenoxyethanol, Polyacrylamide, Cetearyl Olivate, Sorbitan Olivate, Dimethiconol, C13_14 Isoparaf_n, Dimethicone Crosspolymer, Chlorphenesin, Carbomer, Laureth_7, Sodium Hyaluronate, Ethylhexylglycerin, Fragrance, C12_14 Pareth_12, Sodium Hydroxide, Blue 1.